A board game about the GREAT city of Little Rock! 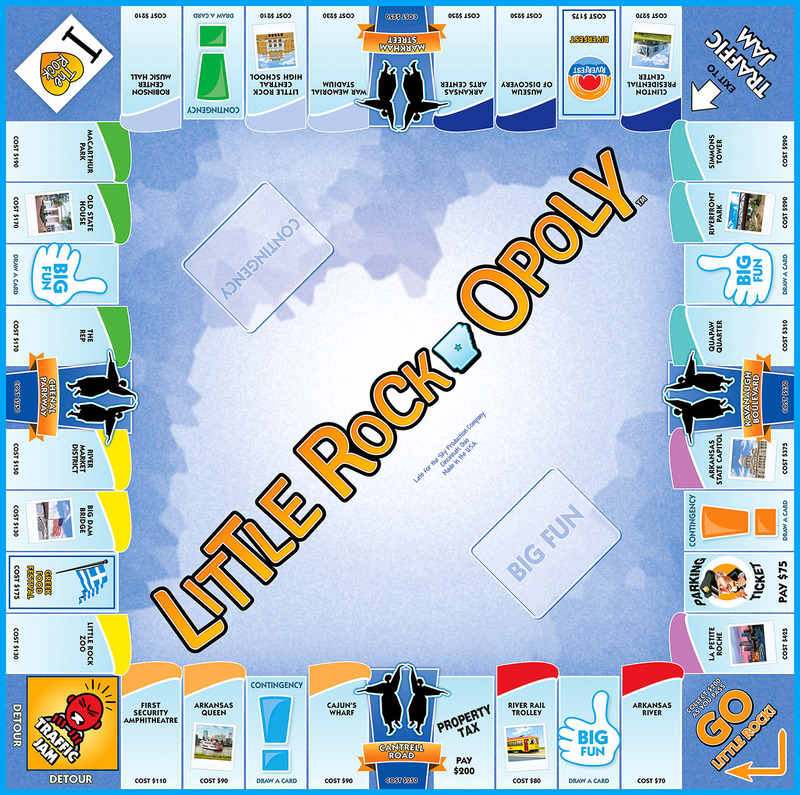 We chose some favorite landmarks and traditions, mixed in some cheesy hot dogs, electric streetcars, a great BigDamBridge, and some BIG FUN... and voilà (vwä lä)-behold; Little Rock-OPOLY! Get YOUR Game On, Little Rock! It's Your Roll!